Sorry to not post in a while. It was due to both work and the tax season. Now for the news. Fur coats used to be a stylish thing to wear but these days they are despised. Back in 1912 though, they were an important status symbol.In this case it was neither style nor class but the need to keep warm. Mabel Bennett, a first-class stewardess aboard Titanic, threw it on to keep herself warm. She kept it one while on Carpathia and for the rest of her life. After her death, it was sold to Henry Aldridge and Son who loaned it to a museum in the U.S. It was auctioned off on Saturday far above the estimated price of £50,000-£80,000 and sold for a staggering £150,000 ($191,767USD). The buyers name was not announced but surely one of the highest prices paid for a collectible mink coat. A “Wish You Were Here” letter written aboard the Titanic could fetch thousands of dollars at auction this weekend. Four days before the ship sank, Swiss banker Alfons Simonius-Blumer penned the missive to his wife and daughter — in which he expressed regret they were not aboard the ship.Simonius-Blumer was sailing to New York on business with a colleague, Max Staehelin, but without his wife, Alice, and their daughter, Ella. He wrote the letter the morning of April 11, 1912, while the supposed unsinkable pride of the White Star Line steamed between Cherbourg in France and Queenstown, Ireland, its last stop before the fateful Atlantic crossing. Simonius-Blumer also described visiting the ship’s gym, enjoying the Turkish baths and lighting up in the smoking room. 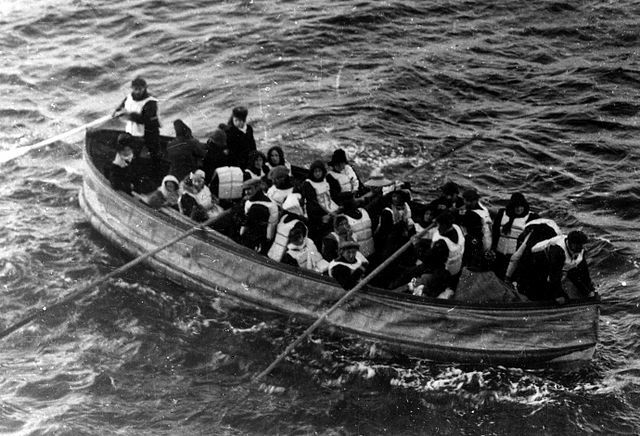 As a first-class passenger, he was able to get on a lifeboat after the Titanic struck an iceberg late at night on April 14 and was rescued by the RMS Carpathia the following morning. The project was first announced in 2014 and will cost an estimated 1 billion yuan (US$145.4 million). The model will measure out at 269-meters long and 28-meters wide, complete with a ballroom, theater, swimming pool, first-class cabins, and even Wi-Fi, according to Wuchang Shipbuilding Industry Group deputy general manager Wang Weiling as reported by AFP. The design of the ship is based on the original British passenger liner, and both British and American designers and technicians will assist in the project. And just in case visitors have worries of a second sinking, the boat will be permanently docked on a reservoir in a rural area of Sichuan province, according to Xinhua. No word from Clive Palmer about whether his Titanic replica will ever get funded. There has not been a lot of news concerning Titanic or Premier Exhibitions. Here are some though that might interest those who follow those topics. Hundreds of people who faced spending Christmas Day alone were treated to a festive lunch at a luxury Liverpool hotel. Over 300 people were entertained by a team of around 80 volunteers at Stanley dock yesterday for the Titanic hotel’s annual White Christmas event. 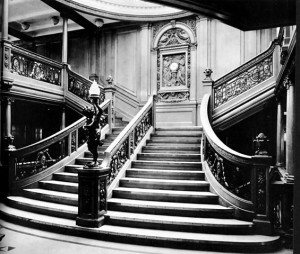 And as New Year means new life, celebrate that precious gift at the Titanic Belfast in Northern Ireland by doing the re-creation of the popular grand staircase scene in the 1997 movie. A replica of the staircase will be made available for guests. Features that will happen during the night include a New Year’s Cocktail, Light Supper, Live Band, Midnight Piper, and DJ Entertainment. Visitors will get to wear in tux and cocktail dresses. An entrance fee of $50 will be charged. It works like this: A researcher picks a project that lies along the route of E/V Nautilus, the 50-crew ­research ship Ballard commands. Ballard’s crew then sends a remote operated vehicle (ROV) to the research site. The ROV feeds video and data to the surface, which the crew beams to the Inner Space Center at the University of Rhode Island, which ­Ballard founded in 2009. Workers there post it to YouTube for public and scientific viewing. Among the images Ballard has ­given the world: mud-spitting volcanoes, barnacled World War II patrol boats, Byzantine amphorae (old clay jugs), and fuzz-covered iron-chewing microbes. 5. Now that Clive Palmer’s Titanic replica has effectively been shelled, the major media outlets now are reporting what readers of this blog already knew. There is a full size replica of Titanic being built in China. It will be permanently docked at theme park and will include a much criticized Titanic Sinking Simulator. You can read one such article at the New York Times. 6. It was not so long away when Belfast was devoid of any large scale Titanic exhibition or museum. That changed in 2012 when Titanic Belfast opened. And now it won the prestigious World Travel Award beating out serious competition making it the first Irish attraction to do this. Premier Exhibitions filed with the U.S. Bankruptcy Court a motion proposing that the period during which the Debtors have the exclusive right to file a Chapter 11 plan be further extended through and including April 10, 2017, and, if a plan is filed on or prior to April 10, 2017, the exclusive period to gain acceptance of a filed plan be extended through and including June 10, 2017. It is not the first criticism of this idea but it is the latest. Presently a full scale Titanic replica is being built for a Chinese theme park. Not a movie set type but the real thing that will be permanently docked. It will even rent out rooms so people can experience the era and even eat foods they did back then. It will also feature a sinking simulator so that you will feel, see, and hear the iceberg strike Titanic. John Wilson, chief executive of the Liverpool Seafarers’ Centre believes it is in bad taste. He is not against them have a Titanic attraction but thinks the sinking simulator is wrong. The fact that in 2017 visitors to a Chinese theme park will be able to board a full size Titanic replica is really played up all over the world. Not only will it look authentic, it will also serve food served on the famous liner, and even offer accomodations. Still not enough? Well you can experience the Titanic Sinking Simulator. They are spending $150 million on this tourist draw. Las Vegas style of entertainment is planned. You get the point. 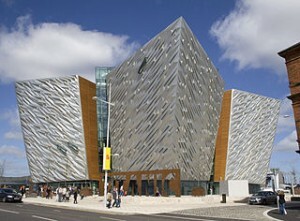 This is not like Titanic Belfast with its historic tours and ability to learn lots about Titanic. This is a Las Vegas style type of entertainment built on the grand scale. Steven Spielberg posing with triceratops animatronic in 1993 on set of Jurassic Park. It was originally posted as a gag by a Facebook user but taken as serious by a whole lot of people including noted author Joyce Carol Oates in 2015. Steven Speilberg has made a lot of movies over his career. Most of them have done very well and even won awards. Jurassic Park, his 1993 adaptation of the excellent Michael Crichton novel, wowed audiences and made them believe the age of dinosaurs was back. 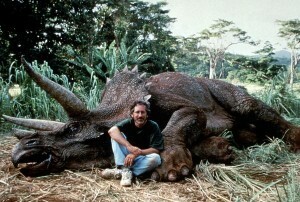 Last year a photo circulated, taken in 1993, of Spielberg sitting in front of an animatronic dinosaur used in the movie. When I first saw the picture, I knew exactly what it was: a dinosaur and not a real one either. Well that picture caused some heat from animal rights people and generated all kinds of negative posts. It did not matter that this was of an extinct creature or that it was simply a glorified stage prop. Nope. Spielberg was roundly criticized for his cruelty. Except he had the last laugh when all those idiots were made as fools. Oh dear. You do not know whether to laugh at her foolishness or utter “what an idiot!” Something has really gone off the rails when a simple photo of a director with a prop is misidentified as the real thing. It is logical fallacy at play that speaks of both ignorance and illiteracy. It goes something like this: My dog has four legs, a cat has four legs. Both have mouths and ears. Therefore my dog is a cat. You could it put off to other things but far too many people seem to follow this logic. Which why when pranksters put pictures of hunters standing over a supposed dead Yeti (a creature that so far has not proven to exist except in folklore and grainy photos) they get called all kinds of nasty names. One good thing came of this: I decided to re-watch Jurassic Park in the near future.